Can We Fall in Love Again with Atlantic City? At the beginning of summer, when people head to carefree destinations, I went to …. Atlantic City. 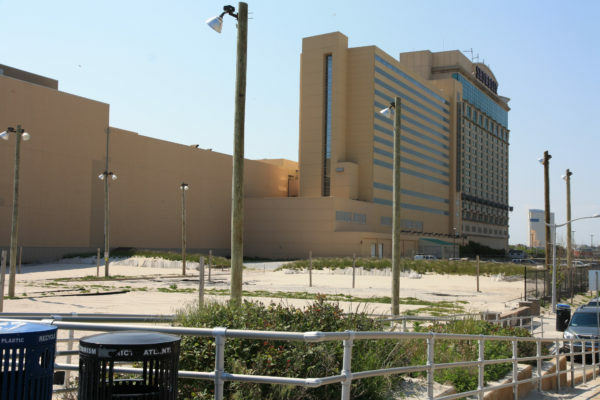 That’s where four of the 12 ocean-front casinos went bankrupt in 2014 leaving thousands of empty hotel rooms and acres of abandoned gaming space. The city itself has been on the brink of insolvency since at least 2010. 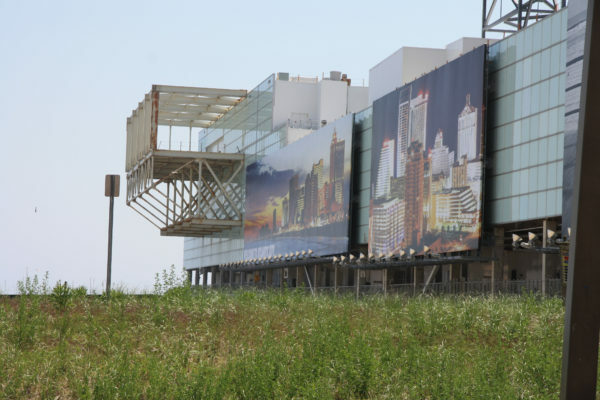 Economic-development officials turn to gambling as an economic quick-fix, even as Atlantic City has for decades been the poster child of gaming-industry failure. 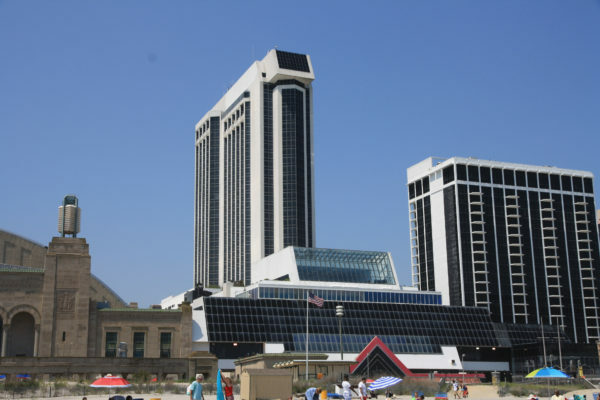 Atlantic City was poor and struggling when gambling came in 1976 to much fanfare. It’s still poor and its unemployment is growing as gaming-related jobs evaporate. I was curious what gambling had wrought over 40 years. 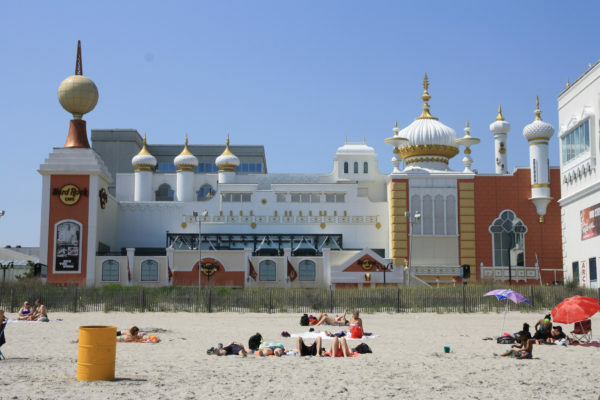 The saturday of Memorial Day weekend was glorious as I entered the lifeless city and parked in the nearly empty garage of the Taj Mahal casino, festooned with priapic gold-painted onion domes. The casino is still emblazoned with Donald Trump’s name (the fees for its use constituting his only involvement, since he ceded his ownership to various sucker investors through bankruptcies in 1991, 1992, and 2004.) The Taj filed for bankruptcy again in 2014. It still operates though press reports of its imminent closure appear regularly. 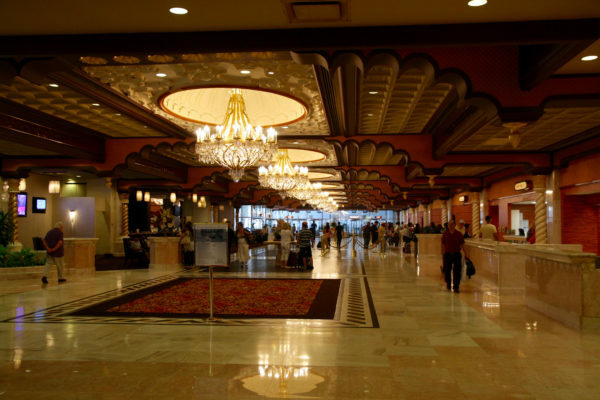 Hotel lobby, Trump Taj Mahal casino. Inside, the ambience is of worn pomp. (Rows of monumental chandeliers disappear into the distance). A smattering of low rollers cranked the slot machines—not what you would expect on what should probably be among the busiest weekends of the year. 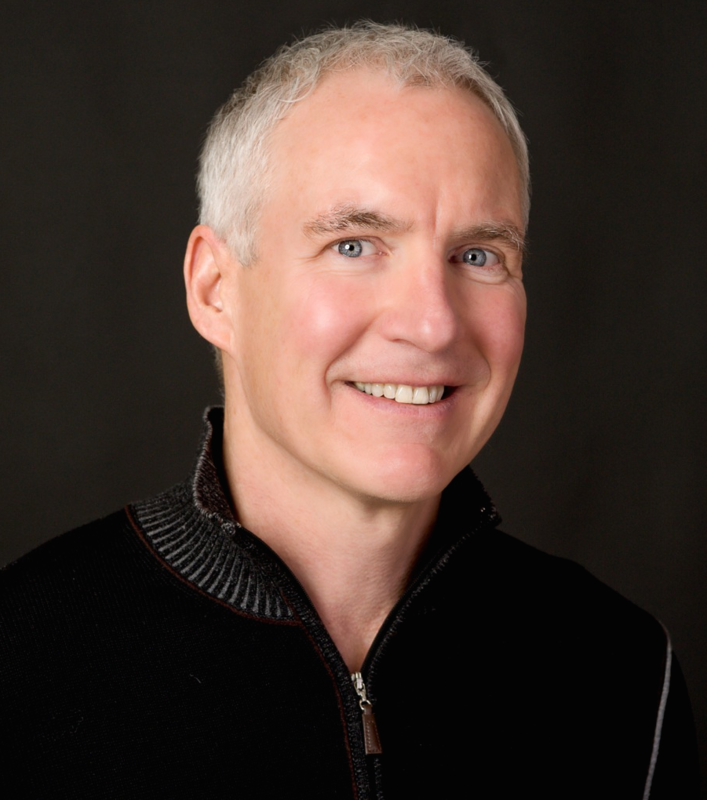 Travel websites brim with complaints of dirty rooms, grimy windows, mold, and rude staff. Rust visibly seeps from exterior metal panels. Trump has petitioned to have his name removed. Stepping outside the casino’s cigarette haze (smoking still permitted!) dispelled the spell of impending doom. The boardwalk was swarming and the beach was jammed with a panoply of races and cultures in outfits ranging from overabundant flesh stuffed into far too little fabric to women in head scarfs pulling up wind-fluttered ankle-length dresses as they danced giggling in the waves. 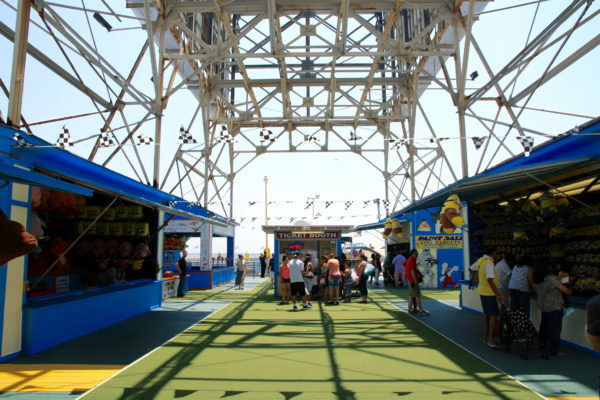 The boardwalk is a throwback to decades ago. People still swarm arcade games, trying to grab a stuffed toy with errant claws or heaving baseballs to dislodge a fuzzy bear. Go Karts rattled around a pier. No designer yogurt or frappe drinks. Aside from casino fare, the food gamut runs from pizza to funnel cakes. You can buy anything you want as long as it is a trinket, a “souviner” (vendors can be spelling challenged) or a T-shirt. (Those play out the boardwalk ambivalence about Trump, with “imprison Hillary” Ts at one and, at the next, a rework of the 2008 Obama “hope” image with a hair-flipping Trump and “nope.”). Everyone seemed to be having a great time. 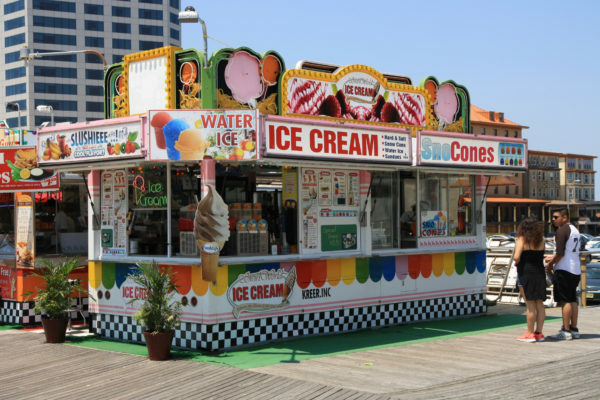 Boardwalk vendors have changed little over time. 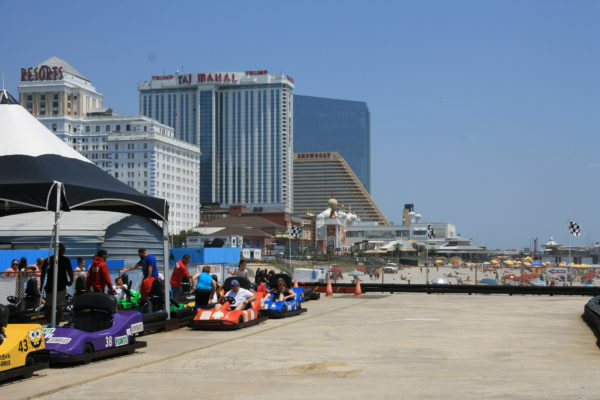 Go Karts are still popular in Atlantic City. 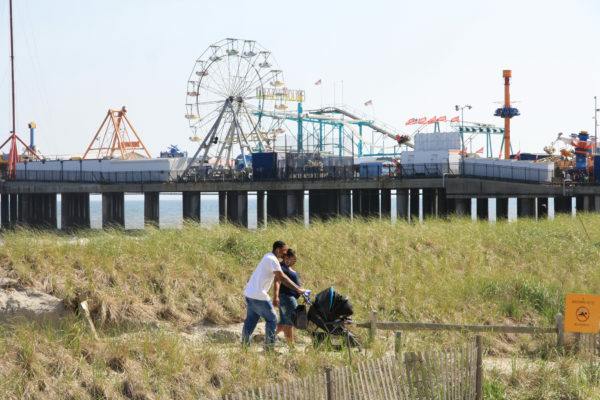 Though the Boardwalk obscures the city’s distress, it can’t completely disguise it. Side streets offer empty vistas. I preferred not to imagine just what was the creepy white stuff dribbling down the inside of the once reflective glass on the abandoned Trump Plaza. Its budget Star Trek badness is so 1970s (though built a decade later) that its beginning to look amusingly retro. An advertising sign has peeled off the shuttered Showboat casino. Strangest of all are the blue-glass curves of the erstwhile Revel, out of which sprout the city’s tallest tower. Revel limped along for just two years before going belly-up. You can see the exposed plumbing through the grime-covered glass because much of the interior was never fitted out. The legislature and Trump lackey Chris Christie have flailed, as gambling revenues have declined and joblessness has grown. There’s been talk of a state takeover of the city. (We saw how that went for Flint, Mich.) What plan would the state execute that goes beyond a bandaid meant to save face for politicians? There isn’t any. 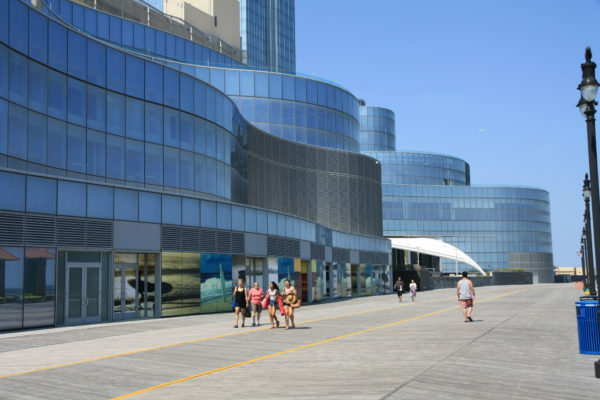 Unfortunately, a plan that would actually make a difference for Atlantic City would force New Jersey to confront it’s political third rail, “home rule.” The state bestows a great deal of power on its patchwork of 565 municipalities (and thousands of other government entities), which are largely political ramparts built to defend wealth and whiteness. Some towns collect rivers of cash from taxpayers, and are lushly endowed with amenities, including among the tiniest, yet biggest-spending school districts in the country. 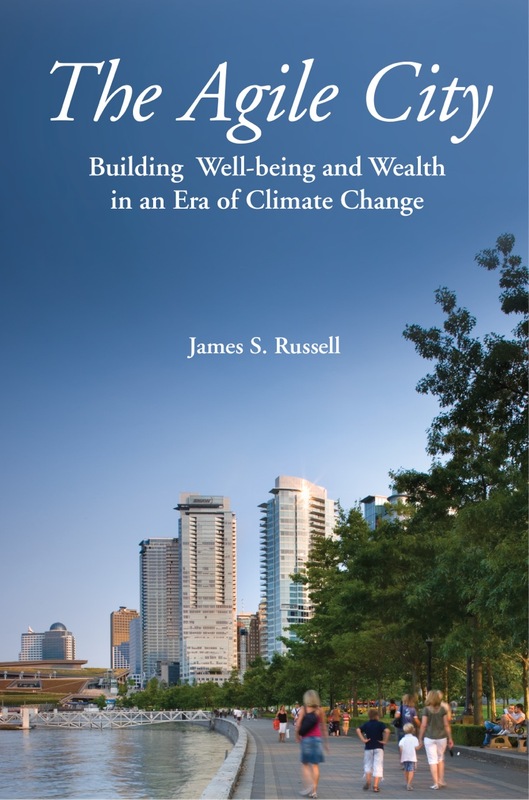 Outside the enclaves are left the poor and non-white, towns and cities possessing few resources to attract brains and wealth. It is why New Jersey, among the wealthiest states, possesses among the nation’s poorest cities. Besides Atlantic City, there is Camden, Newark and Trenton, the state capital. 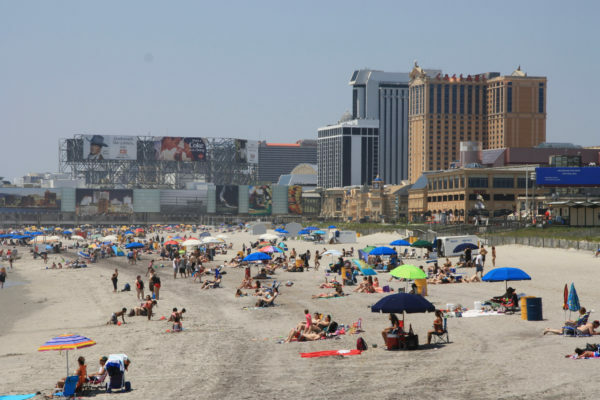 Atlantic City has failed to prosper, even with such a large tax base, because most casino tax proceeds go to the state, and better-paid casino workers choose to live in more affluent towns. As in Tunica, Biloxi, Philadelphia and New Orleans, gambling did nothing to help develop or extend a unique sense of place or occasion, because gaming operators cannot see a lively, beloved city as anything but an impediment to holding customers glued to slot machines or poker tables. 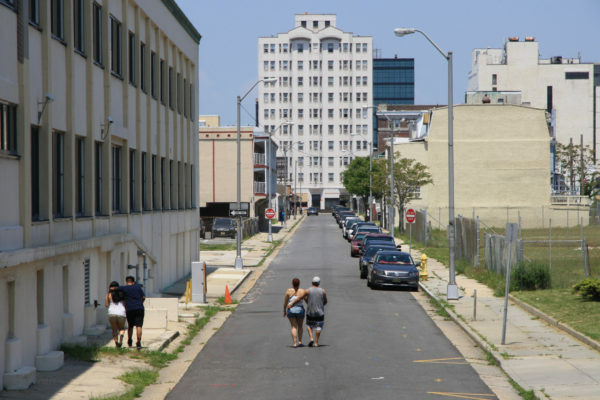 Is Atlantic City beyond hope? It’s got a glorious combination of sea, beach, and lush, marshy inlets. The boardwalk can be so much more than it is. Architectural remnants of the city’s rich and intriguing history remain. But who is ready to invest the talent an hard work to make it happen? Wow, that’s some sad real estate. No, I don’t think Atlantic City can be lovable until it finds a way to attract an entirely new public. It’s life as a gaming center is done and dead. My opinion. inviting I love to explore ghost towns, like the Poconos, Sharon springs , Scranton. Can I get a really cheap hotel room? What about cheap restaurants? How is Lucy the elephant? Maybe a site for a novel, film, international Intrigue, remake of the third man, James Bond, nightmare on elm street. I did not price hotel rooms but I suspect they are cheap. It is a kind of ghost town, though I don’t know if anyone has been entrepreneurially enough to offer tours of the abandoned hotels. 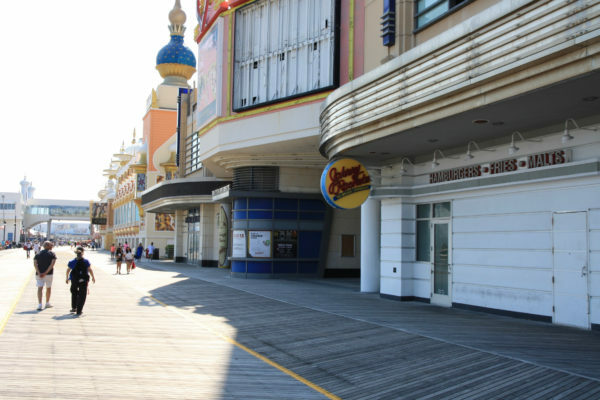 Of course movies, TV shows and novels have been written about Atlantic City. I’m sure that will continue. Like the idea of a James Bond movie combined with Nightmare on Elm St filmed with an AC backdrop…. If you subtract the Trump bungling (four bankruptcies plus a lot of mismanagement) the track record of gaming in Atlantic City goes from appallingly bad to only poor. That’s truly impressive. Those who support Trump because they think he is a business success should look into his record of “success” in the can’t miss business of gaming in Atlantic City. Who can’t make money in gaming?